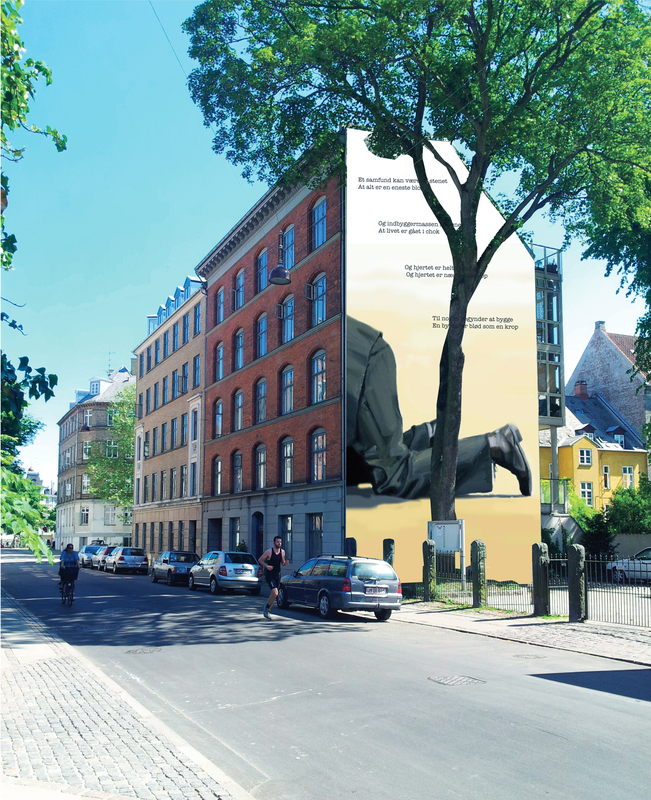 Perspective of mural painting in Copenhagen. Poem by Danish poet Inger Christensen. To be executed in 2016. « Peter Ravn will be showing new work at the LATE SUMMER GROUP SHOW. Opening Friday August 24th, 5-8 pm. Gallery Poulsen, Kødbyen, Copenhagen.